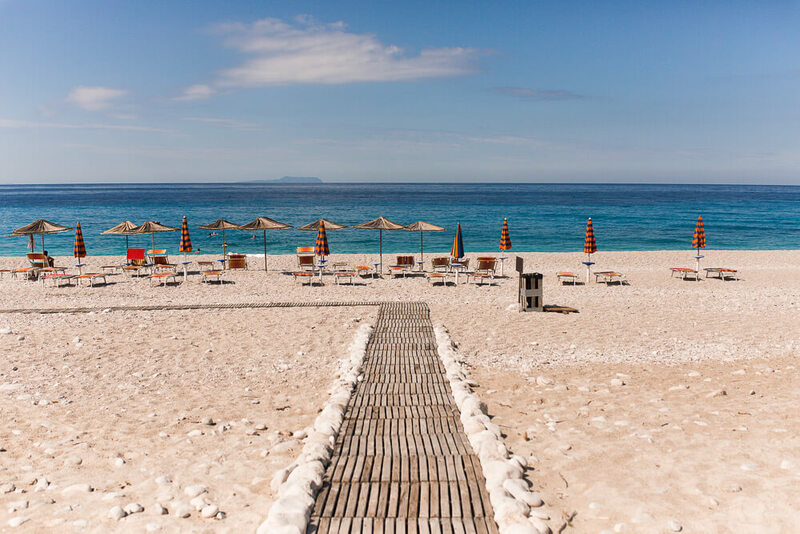 After landing in Tirana, driving through Vlorë and on down through Llogara National park, we arrived to our beach hut accommodation on Drymades Beach – Altea Beach Lodges. Basic but equipped with comfy beds, air conditioning, power points and fresh linen, the huts were everything we needed as a base for two days exploring the area. 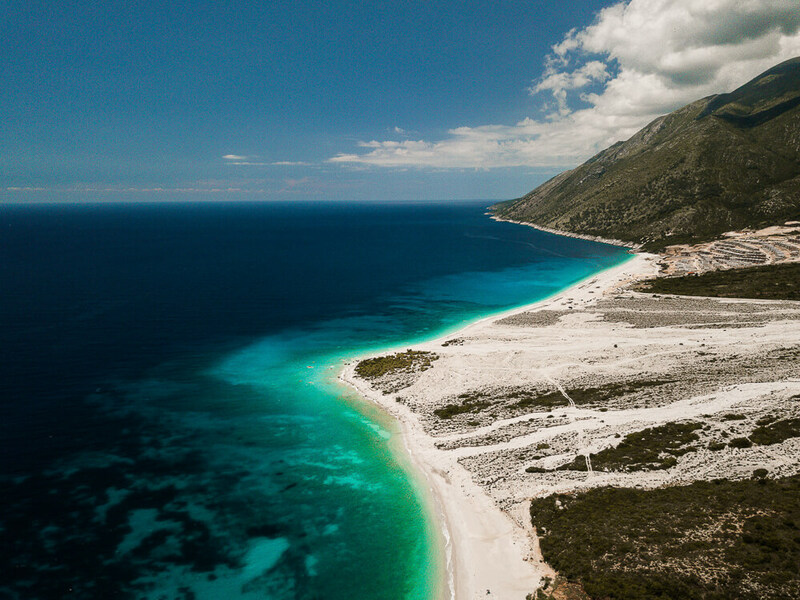 As part of the Oh So Albania! 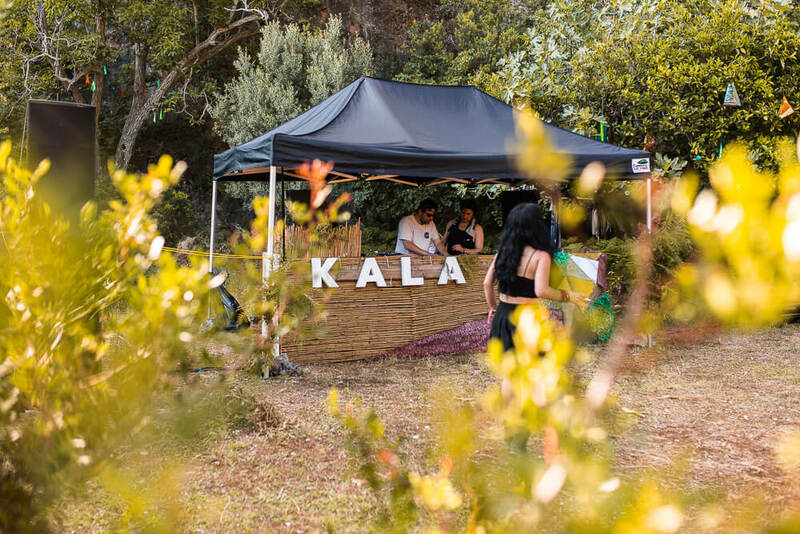 trip that I was here experiencing (it’s going to launch next summer 2019) our group had a two day entry pass to the hottest new festival on the scene, set right here on the Balkan coastline – Kala Festival. 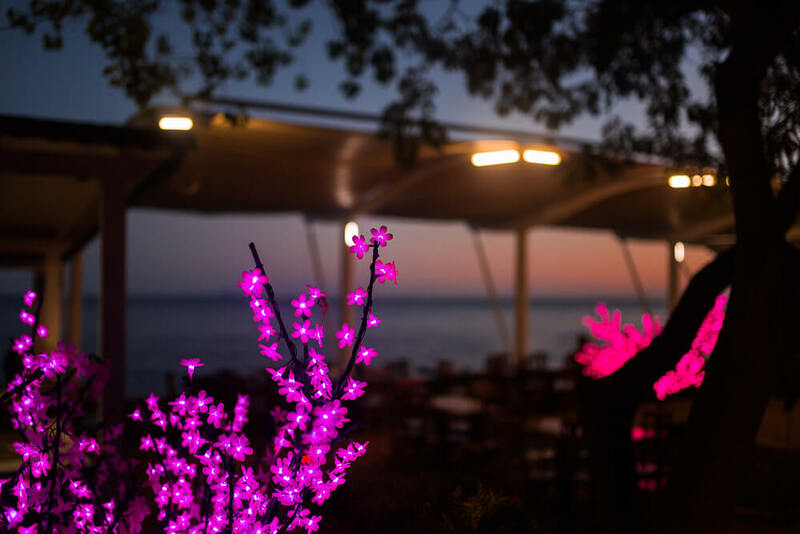 Running for the first time this year (20th – 27th July 2018) this 7 day extravaganza has taken the untouched Albanian Riviera and enhanced it into the most gorgeous space for you and your friends to discover euphoria. 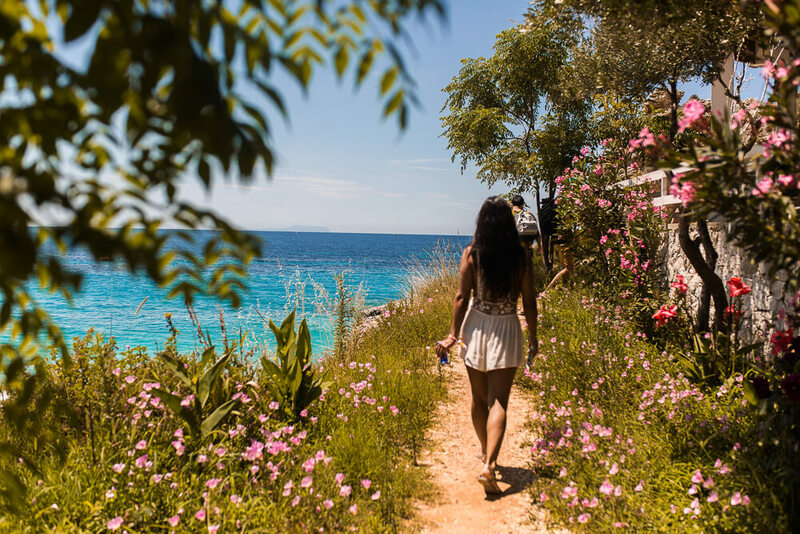 International acts, sunset dance party’s, beach dance floors, ocean front yoga and massages, group BBQ’s, speed boats to secret gorge locations, fairy lit walkways and jetty filled DJ sets. 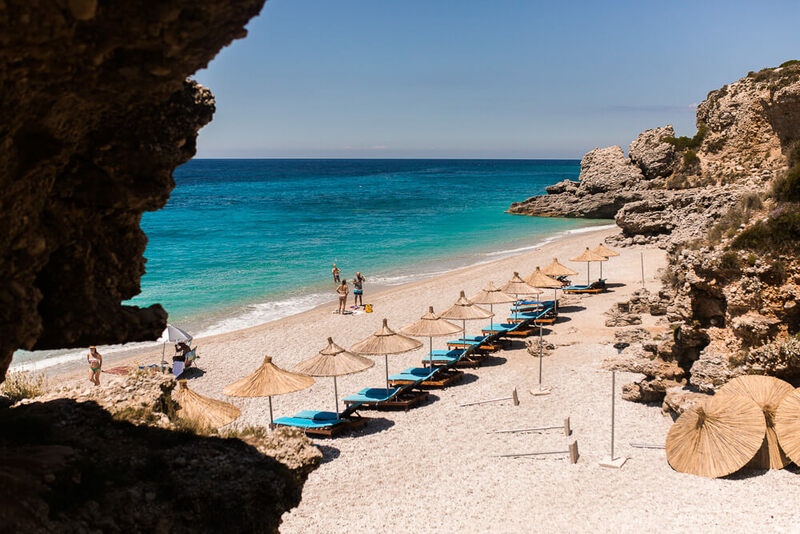 All combined with crystal clear, luke warm turquoise waters and a 360 combination of mountains, beaches and undiscovered Albanian landscapes. 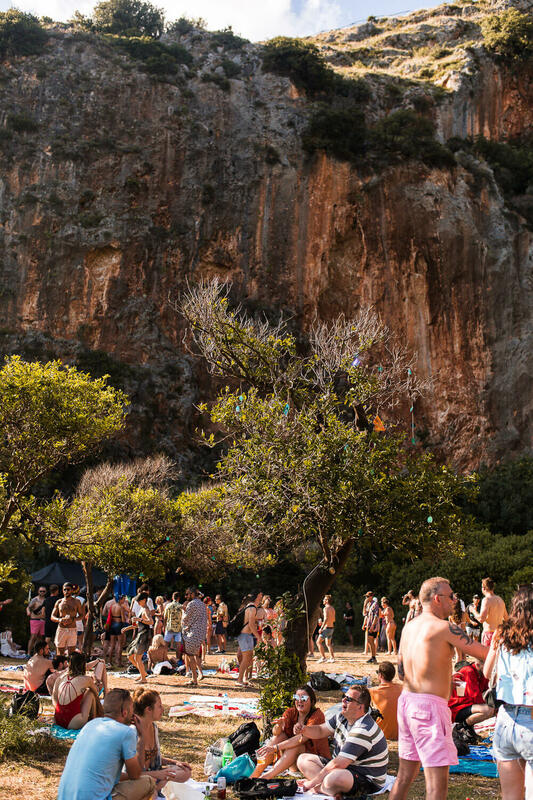 It’s safe to say – there’s no festival on the map quite like it. 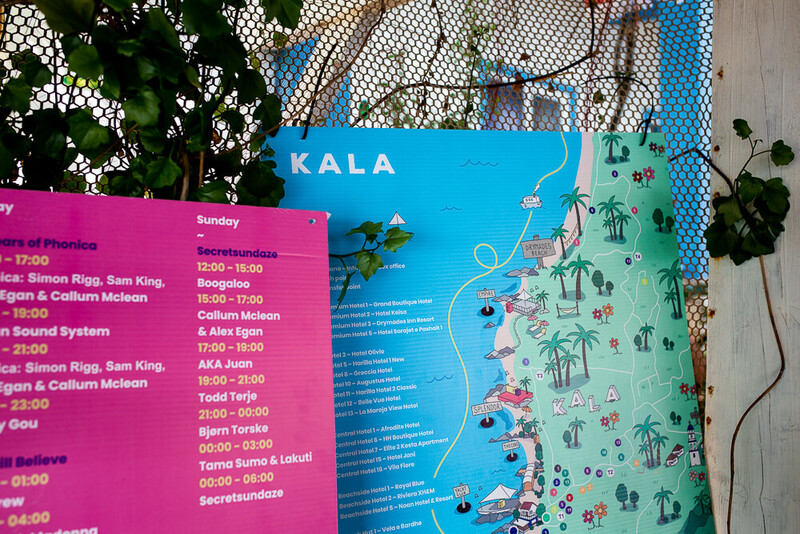 How do you get to Kala Festival? 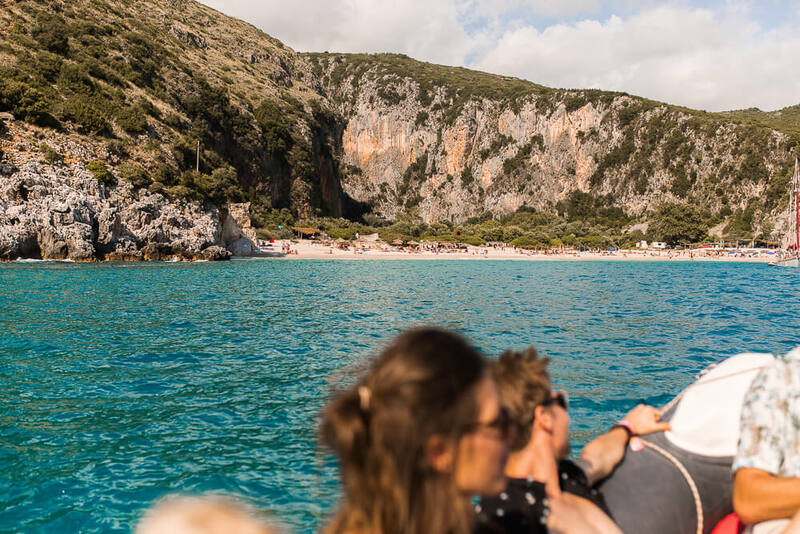 The easiest route for arrival into Dhërmi is flying in to Corfu (Greece) – a destination most budget airlines fly to and then from there you can then take a boat to Dhërmi (about 3 hours away). Otherwise, you can fly into into Tirana (The capital of Albania) where you can hire a car and drive to Dhërmi (about 3.5 hours drive). I have to say this was an incredible drive and would be a great way to extend your adventure to include some mountains. 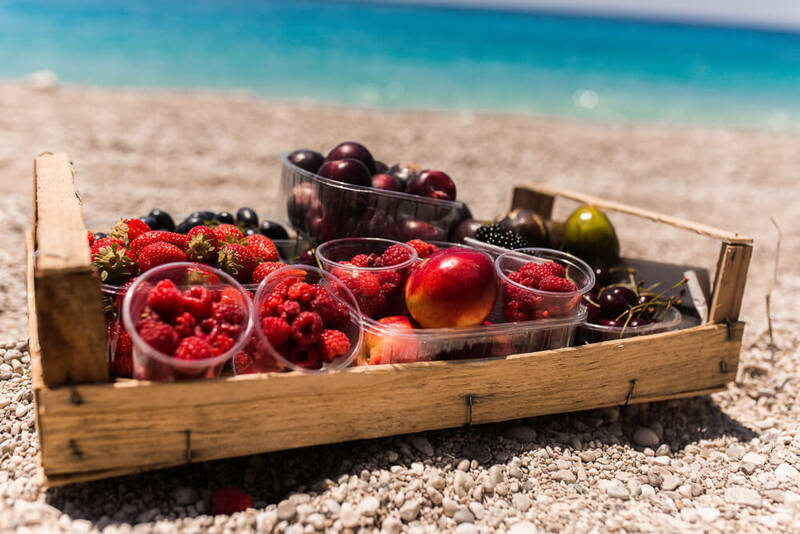 See what your road trip could look like here on my blog post. 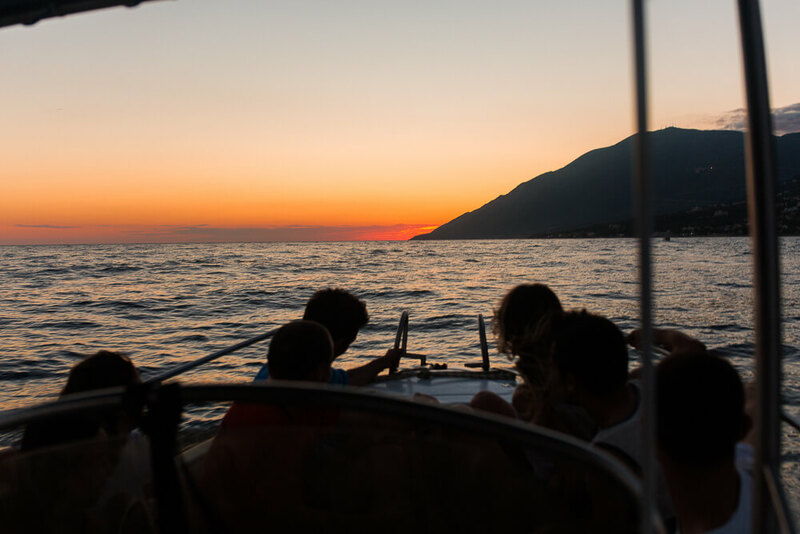 If you do decide to fly into Corfu, the festival are providing a Kala Boat service which is said to include drinks, DJs and all of the good vibes for the journey across. See more here. Okay, so our first night at the festival was awesome. 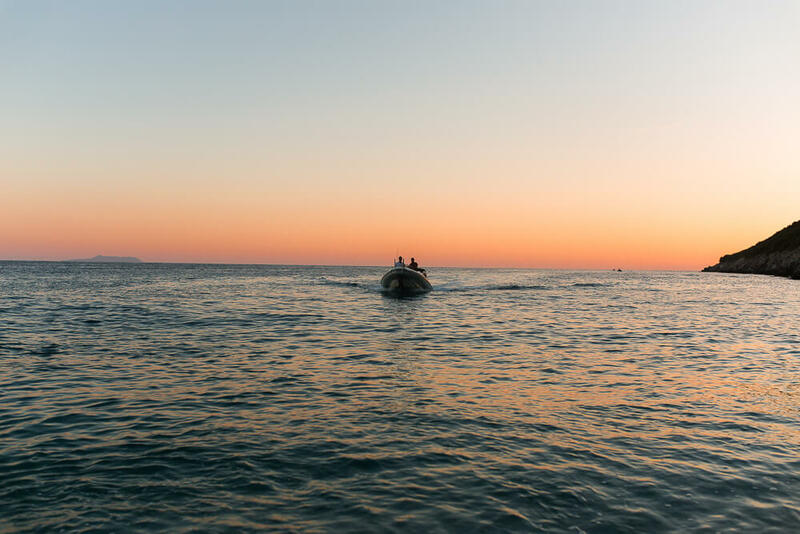 You know how it is, sunset, house music, beachy vibes, Aperol Spritz flowing and a desire to be nowhere else but where your sandy feet are placed. 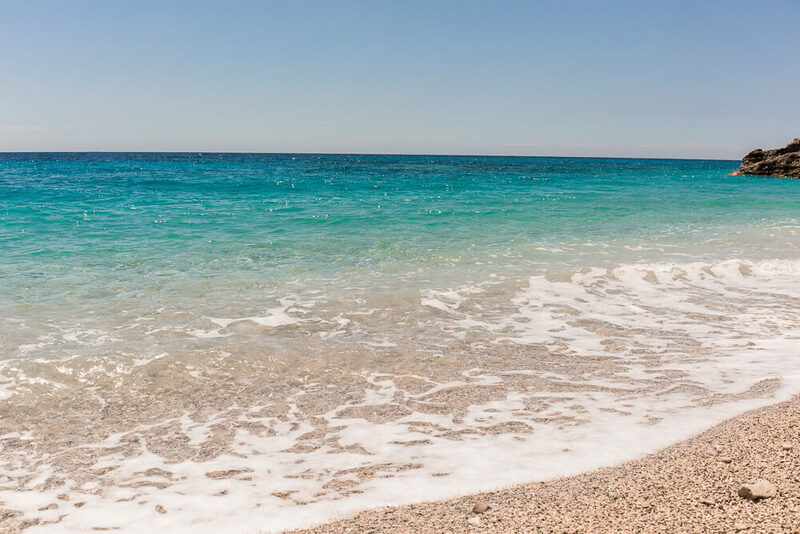 We pulled up to the shore of Gjipe completely high alone from the thrill of the speed boat ride which was driven by a local Albanian speed demon. 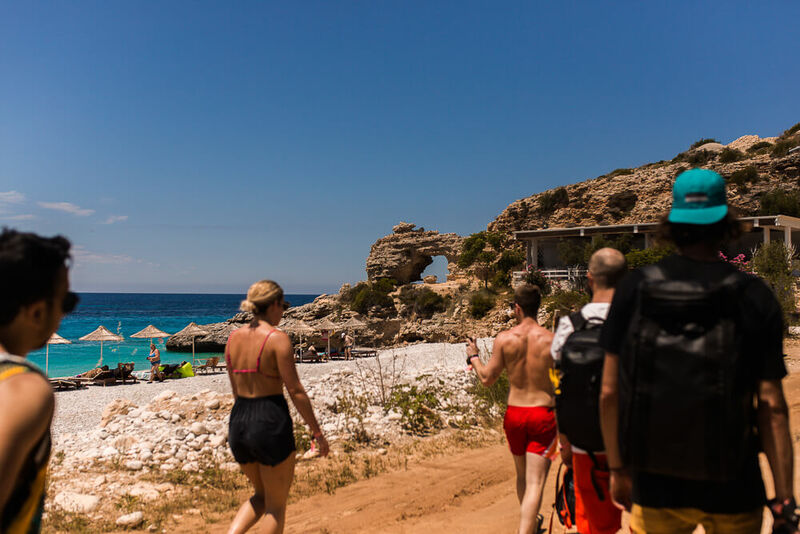 We jumped off, happily soaking ourselves in the shallow clear waters of the beach which allowed us to cool off from the 30 degree midday sun rays and walked up off the stones as if discovering a new land (movie style-y). 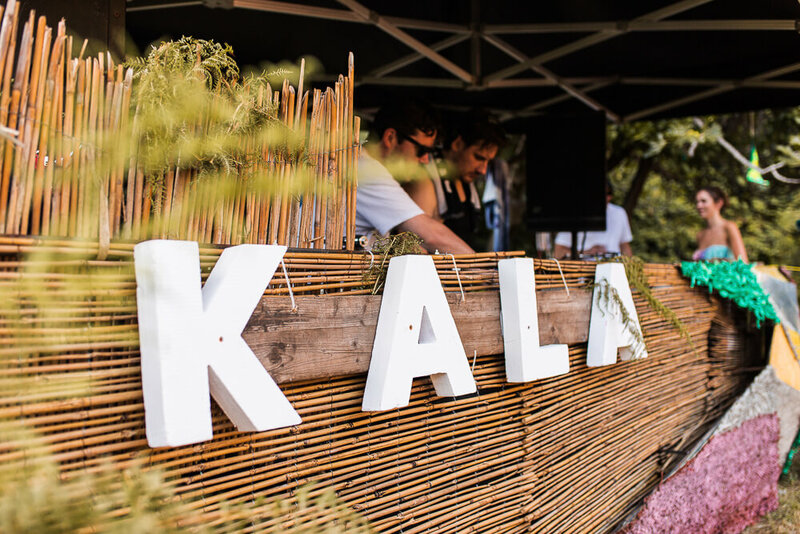 Slightly confused and completely suspicious of how Kala were going to pull this one off, we let the sound of the music guide the way and just through the foliage heading into the gorge we spotted a little shack bar and to the left, a DJ booth. 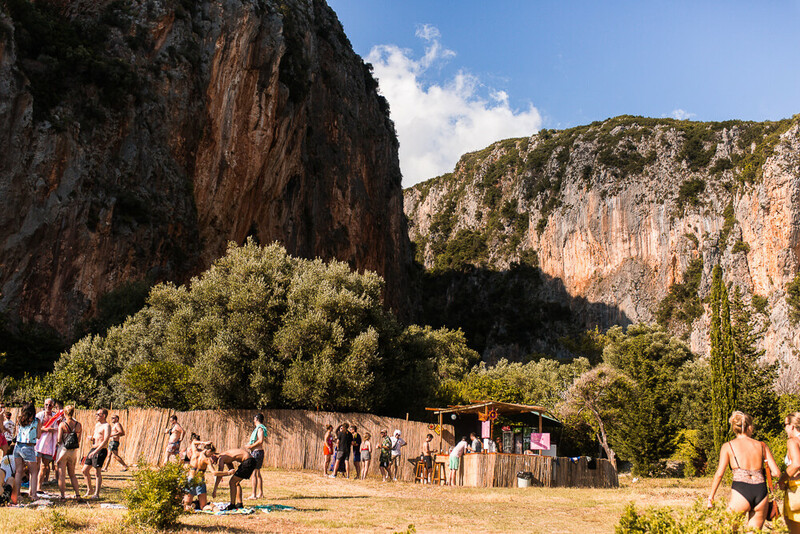 The set up on Gjipe Beach was quite possibly the most surreal dance floor setting I’ve ever popped my dance moves on, I kept finding myself in disbelief. Mountains and blue skies towering above me, John Gomez and Nick The Record sending out the sound waves, bikinis and iridescent jewels hanging from the trees and reflecting rainbows across my vision. All washed down with a 500 Lek local Kosovo beer. We danced all day. Gjipe beach had me the vibes I live for, the ones I chase. The pure happiness running circles through my body. Kala delivered the goods. I really loved that Kala worked with a maximum capacity for this experience. 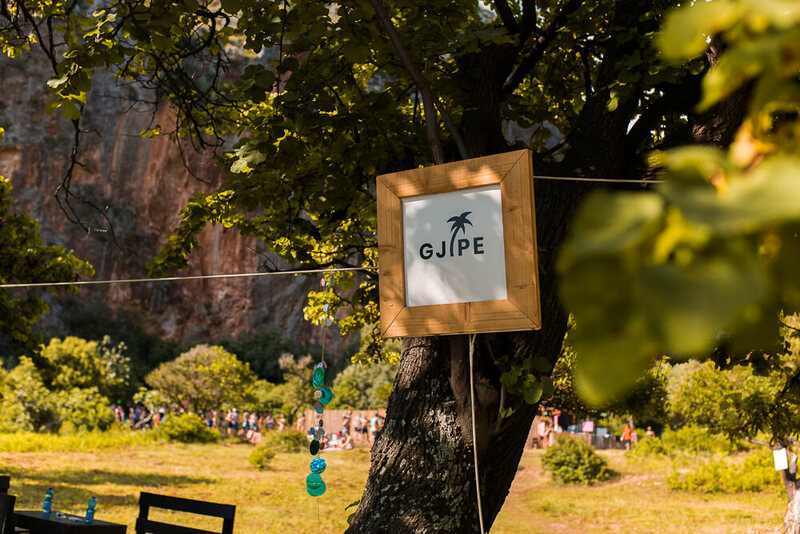 Whilst they could have hosted thousands here, they kept the numbers small, the dancing area spacious and the feeling of really discovering this Albanian paradise four yourself at the forefront of the day. 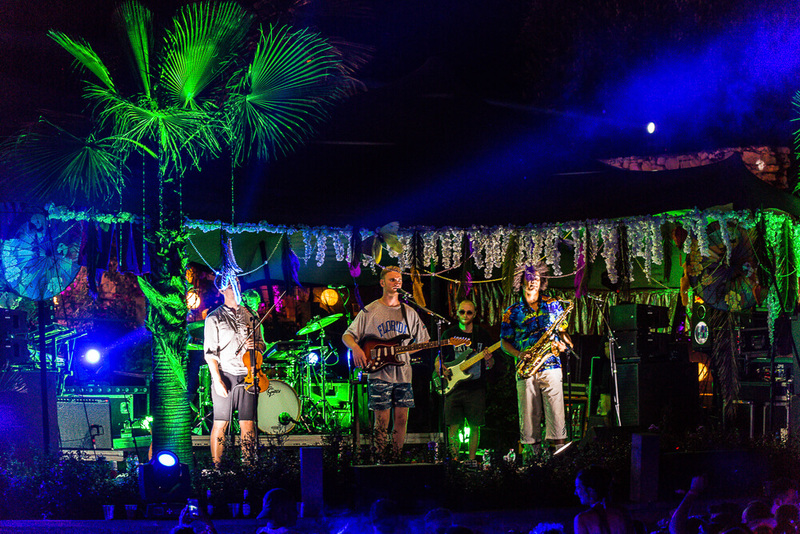 I hope they don’t sell out in the coming years and ruin what made this festival so special. We will see. 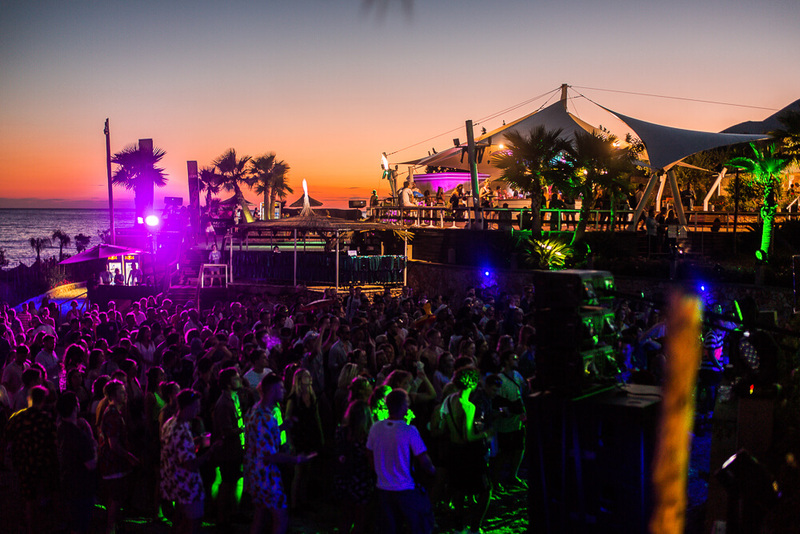 We danced until the last speedboat took guests back to the main festival at 7.30pm and then we continued straight on to Tom Misch as he played out the last bit of daylight at Emperor stage (the main outdoor stage). It was glorious and the perfect end to a perfect day. Calling it a day just before midnight we jumped in a 10 minute taxi back to our beach huts and crashed the moment our heads hit the pillow. 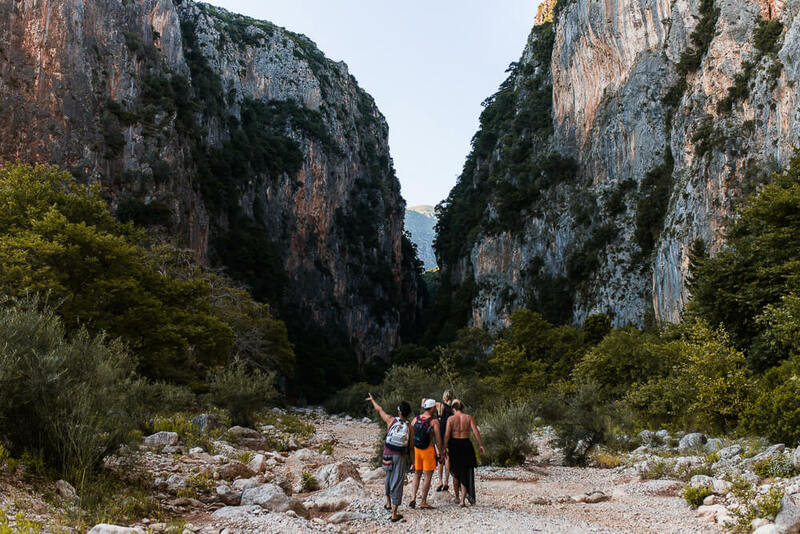 Our two days at Kala had been the perfect addition to our trip but now it was time to continue our Albanian road trip and head to the next destination. 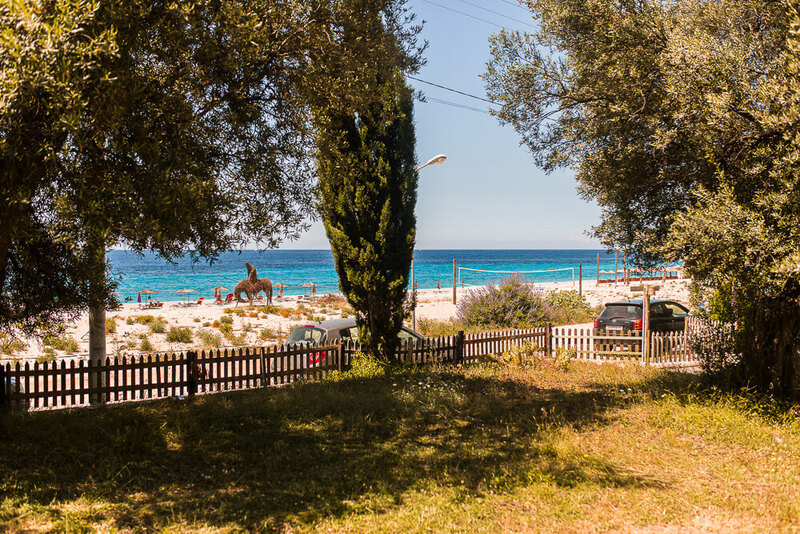 Aware we hadn’t actually explored the beaches right outside our accommodation here at Altea Beach Lodges yet, we packed up the cars and took a stroll down. 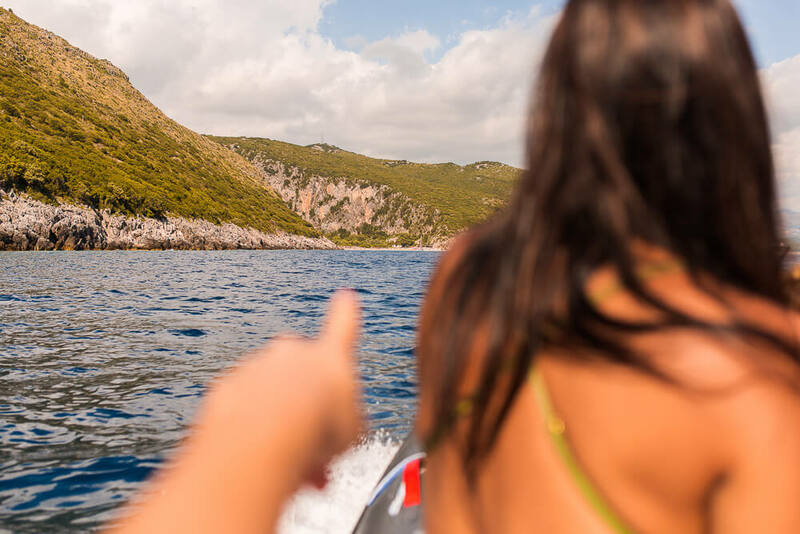 You’ll see from the pictures in a second why this ‘stroll’ instantly turned into two hours of rock jumping, local fresh fruit devouring and diving in and out of the turquoise waters. 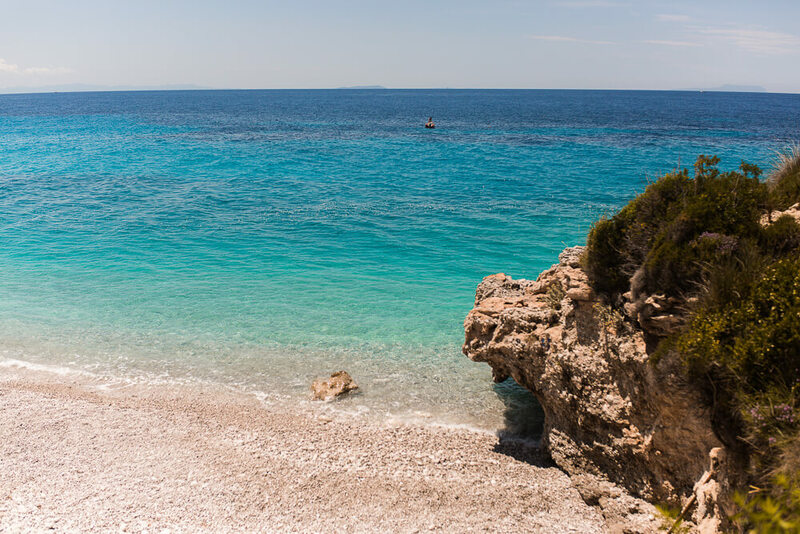 Top tip: Always allow extra time on your road trip for discoveries of locations and beaches you hadn’t accounted for. From experience, no time schedule ever goes to plan! 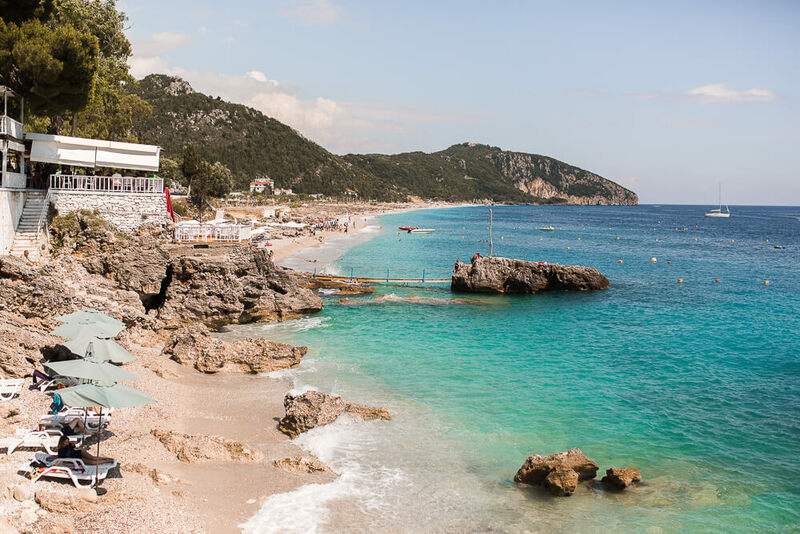 Stay tuned for the next part of our Albanian road trip where we cruise down paths that rival the very best in New Zealand, we explore castles and we ascend to the cinque Terre of Albania.